Who invented Radar? The name of the person credited with inventing RADAR is Sir Robert Watson-Watt (1892 - 1973). Sir Robert Watson-Watt is not only famous as the British inventor of Radar but also as a meteorologist and physicist. When was RADAR invented? Sir Robert Watson-Watt invented Radar in 1939, during the WW2 (1939 - 1945) period of invention. The invention of RADAR was as a crucial means of defence during WW2 and for safe navigation across the air and the sea during peacetime. Definition of Radar: Radar is defined as a system for detecting the position, movement, and type of a remote object by means of radio waves reflected from its surface. 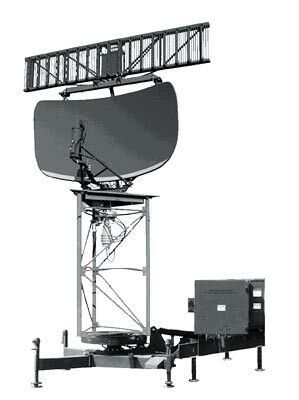 The term RADAR is an acronym for RAdio Detection And Ranging. Fact 1: Who invented Radar? The Radar was invented by Robert Watson-Watt in 1939 during the WW2 (1939 - 1945) era of inventions. Fact 2: Who invented Radar? Prior to the invention of Radar in 1939, important discoveries were made into animal behaviour that were vital to the invention of RADAR. In 1793, the Italian biologist and physiologist Lazarro Spallanzani, studied the ability of bats to use sound and their ears for navigation in total darkness (now called Echolocation). Lazarro Spallanzani concluded that bats navigate by hearing and not by vision. Fact 3: Who invented Radar? In 1939 the American zoologist Don Griffin proved the Echolocation phenonomen and confirmed that echolocating bats emit ultrasound calls out to the environment and are able to navigate by listening to the echoes of their calls that return from various objects near them. Fact 4: Who invented Radar? Notable physicists also played an important role in the development of RADAR. In 1864 Clerk Maxwell formulated a set of equations that would govern the behavior of electromagnetic waves and the laws of reflections. In 1886 Heinrich Hertz discovered that electromagnetic waves, travelling at the speed of light, could be transmitted through some types of materials while other objects reflected them. Fact 6: Who invented Radar? In 1906 Lee De Forest invented the thermionic valve, an electronic amplifier device he called an Audion. In 1918 Edwin H. Armstrong invented the superheterodyne radio receiver, aka the 'superhet', an important addition to radio communications. In 1921 Albert W. Hull invented Magnetron tubes that used electromagnetic waves instead of sound waves so that the resonant energy it makes could not be heard. Fact 7: Who invented Radar? During the 1920's use of the oscilloscope made it possible to display time intervals between events, and consequently distance on a cathode ray tube. The oscilloscope addressed the issues of the Telemobiloscope and this together with Lee De Forest's Audion and Albert Hull's Magnetron tubes eventually paved the way for the invention of RADAR by Robert Watson-Watt in 1939. Fact 8: Who invented Radar? The inventor of Radar, Robert Watson-Watt, was born on 13 April 1892 in Brechin, Angus, Scotland, UK and died on 5 December 1973. Fact 9: Who invented Radar? The early years of Robert Watson-Watt were spent in Brechin, Angus, Scotland, UK where he was raised by his family. He was the son of a carpenter and a proud descendant of James Watt, the famous inventor of the steam engine. Fact 10: Who invented Radar? Robert Watson-Watt was educated at University College, Dundee and gained a BSc in Engineering. During this time he became interest in 'wireless telegraphy' or radio which had been invented by Guglielmo Marconi in 1895. Fact 11: Who invented Radar? Following his education in 1915 his first job was as a as a meteorologist at the Meteorological Office in 1915. This was a period of major inventions which rapidly escalated due to the outbreak of WW1 (1914 - 1918. The Wright Brothers had invented the Airplane in 1903 and the newly invented, fragile planes were used in the Great War. Robert Watson-Watt worked on developing equipment to detect thunder and lightening to help the pilots. Fact 12: Who invented Radar? In 1916 Robert Watson-Watt began to develop the idea of using a cathode ray oscilloscope in aircraft to measure and plot electrical signals on a display screen. Fact 13: Who invented Radar? His pioneering work at the Met Office and his great interest in radio led Robert Watson-Watt to be appointed Head of the Radio Department in Teddington, Middlesex in 1924. His focus was on defence and one of his projects was to investigate radio interference caused by transmitters and electrical equipment. In 1927 he became director of the Radio Research Station and began the invention of RADAR. Fact 14: Who invented Radar? The idea of RADAR was not a new concept. Christian Hulsmeyer had developed the "Telemobiloscope" that used radio waves as an "obstacle detector" for ships. And following the disastrous sinking of the Titanic, Guglielmo Marconi, who had invented the Radio in 1895, predicted that new types of marine radio apparatus would be invented. Fact 15: Who invented Radar? Marconi had envisaged that it would be possible to project radio waves and detect their reflections from metallic objects in order to “immediately reveal” the presence and bearing of other ships in the dark. Robert Watson-Watt was about to make this concept a reality. Fact 16: Who invented Radar? Robert Watson-Watt and his team were aware of all of the previous discoveries that had been made in relation to radio waves and developed a 'squegger', a self-blocking oscillator that produced an intermittent or changing output signal that was used to develop a 'time base' display - a crucial element to an "obstacle detector". Fact 17: Who invented Radar? By 1933 the threat of Nazi Germany became evident and alarm spread as rumors circulated that the Germans had developed a "death ray", which used radio waves said to be capable of destroying targets in Britain. Fact 18: Who invented Radar? Robert Watson-Watt was requested to develop a British "death ray" that could destroy German airplanes before they attacked. Fact 19: Who invented Radar? Robert Watson-Watt realized that the required technology was not available to create a British "death ray" but believed that he could invent an "obstacle detector" device that would be able to detect an aircraft in flight before it was visible. Fact 20: Who invented Radar? Work began on the "obstacle detector" device, electronic system for locating objects by means of radio waves. It was called 'radiolocation' system but was renamed RADAR is an acronym for RAdio Detection And Ranging. Fact 21: Who invented Radar? In 1935 Robert Watson-Watt demonstrated the first radar system detected aircraft at a range of 8 miles. On 2 April 1935, Robert Watson-Watt was granted a patent on a radio device for detecting and locating an aircraft, Further work was needed until the radar system detected aircraft at a range of 40 miles. Fact 22: Who invented Radar? In 1939 WW2 erupted and the newly developed radar system was seen as an early warning defense for Britain. There was a problem. The Radar system used Magnetron tubes, which were at the heart of radar’s function, but these required more power. John Randall and Henry Boot developed the resonant cavity magnetron in February 1940 massively increasing the power of the Magnetron tubes. Fact 23: Who invented Radar? Britain was unable to mass-produce the tens of thousands of magnetron tubes required for the Radar system and looked to the United States for help. The US defense contractor Raytheon Manufacturing Company became the major Allied supplier of magnetrons during the war. (Raytheon' chief engineer, Percy Spencer, became an expert in the field and using magnetrons went on to invent the microwave oven). Fact 25: Who invented Radar? After the war was over Robert Watson-Watt was knighted by King George VI in 1942 and received the US Medal for Merit in 1946. Fact 26: Who invented Radar? Sir Robert Watson-Watt died in Inverness, Scotland on 5 December 1973 and buried at the Episcopal Church of the Holy Trinity at Pitlochry. Fact 27: Who invented Radar? Sir Robert Watson-Watt will always be remembered with gratitude for his invention of Radar and as a hero of WW2. Who Invented Radar - Robert Watson-Watt - Inventor - Invention - Definition - Meaning - Famous - Important - Radar History - Radar Timeline - Innovation - Significant - Development - Science and Technology - First - Definition - Kids - Facts - Information - Info - Who invented Radar - Dates - When - Why - Impact - Purpose - Use - New - Old - Amazing - Best - Definition - Meaning - Awesome - Cool - Radar - British - History - Timeline - Who Invented Radar?